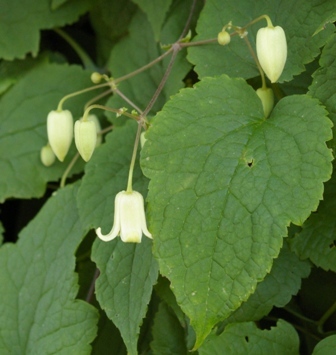 Joy Creek Photo Archive (c) all rights reserved Clematis connata is a vigorous climber with delicate nodding yellow bells with recurved sepals. These are somewhat elusive hiding under splendid rugged, hairy leaves. We grow it over a wrought iron fence. All of our Clematis are two year old plants that are suitable for immediate planting in your garden.